Please allow 24-48 hours for a response as we are a volunteer organization and are not staffed. Thank you. 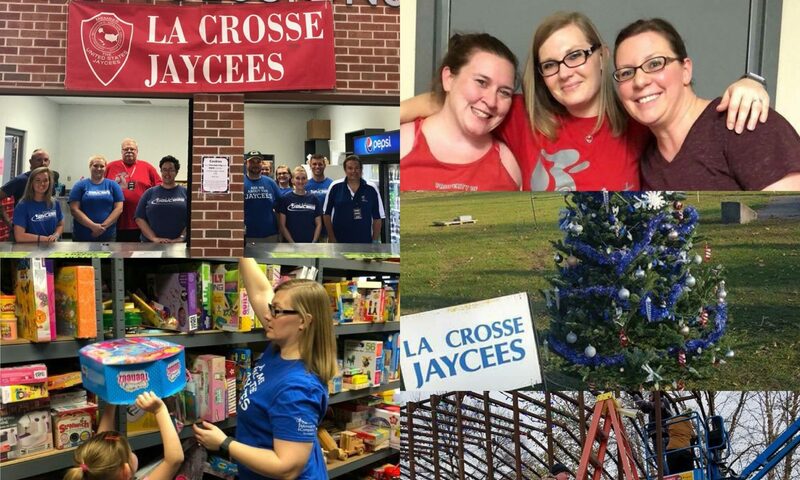 The La Crosse Jaycees (JCI La Crosse), or La Crosse Junior Chamber of Commerce as it was then called, was formed in 1935. Today the chapter continues to thrive and we meet once a month on the first Tuesday at 6:00pm. Our meetings are held in the conference room of the Family & Childrens Center at 1707 Main St in La Crosse. Chapter meetings are open to the public and we would love to have you join us! INDIVIDUAL DEVELOPMENT: Skill levels of members are increased so they are better prepared to give service to the community, providing increased professionalism when members are visible in the community. COMMUNITY DEVELOPMENT: The projects completed in this area serve as workshops for members to develop the skills they have learned. Better skills mean better service to the community as well as increased influence in the community. The La Crosse chapter has a multitude of projects in this area: Neighbors Day, Thunder Ride, and for over 80 years the Toys For Tots program. MANAGEMENT DEVELOPMENT: Through projects completed in this area members learn to plan, organize, staff, direct, and control chapter activities. The projects in this area also tend to be the ones that bring money into the Chapter, which in turn is given back to the community. In the La Crosse Chapter, these events include the Riverfest Beer Tent and the apparel booth at Oktoberfest. MEMBERSHIP DEVELOPMENT: In this area the Chapter strives to bring in new members to help foster the Jaycee Concept and increase our involvement in the community. After all, without members we would not be able to complete any of the projects in the three other areas. Every member in the Chapter counts, no matter how much time they can give to projects throughout the year. 1944 – 1945 Richard Markos, Sr.